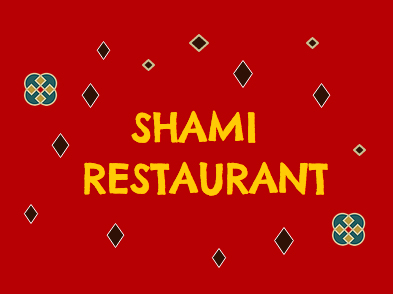 Online ordering menu for Shami Restaurant. Shami Restaurant offers you the most authentic Mediterranean Cuisine fully prepared by skilled cooks that know Middle East cooking real well. Start off with one of our Starters which include Fatteh Hummus, Baba Ghannoug, and Lentil Soup. We also serve salads and sandwiches! And from our grill, we have Lamb Kebob, Lamb Chops, Beef Shawerma, and more! Don't forget to end with one of our desserts! We are located near Southland Mall and the Winton Shopping Center. We're less than a miles from Hayward Executive Airport. Order online for carryout!